With the new year approaching, a critical fundraising dealine is upon us. We need YOUR help, please consider donating $20.14 to show that you are standing strong with Special Operations for America in the battle to take back the Senate and electing candidates to the House that will have the same values and protect our Constitution. Help us fund our efforts to defeat Barack Obama, Harry Reid, Nancy Pelosi and any ally of their policies that are destroying America at this very moment. 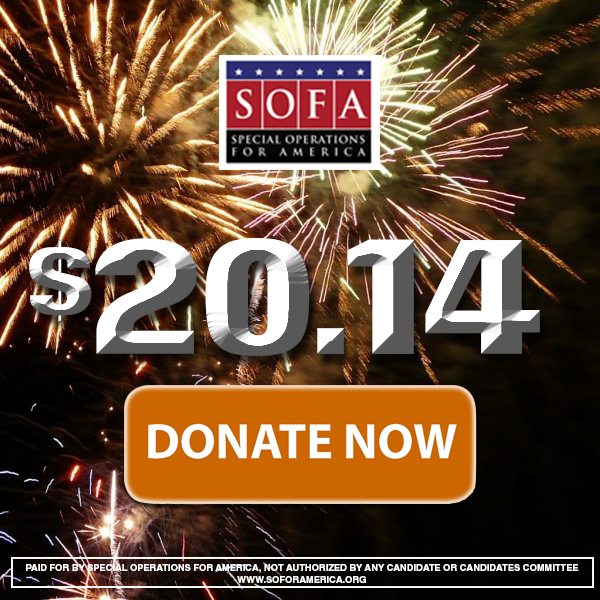 Your generous donation of $20.14 will help us play in critical campaigns across the United States.